Have you ever read something that completely blew your mind apart? Well, you’re about to. 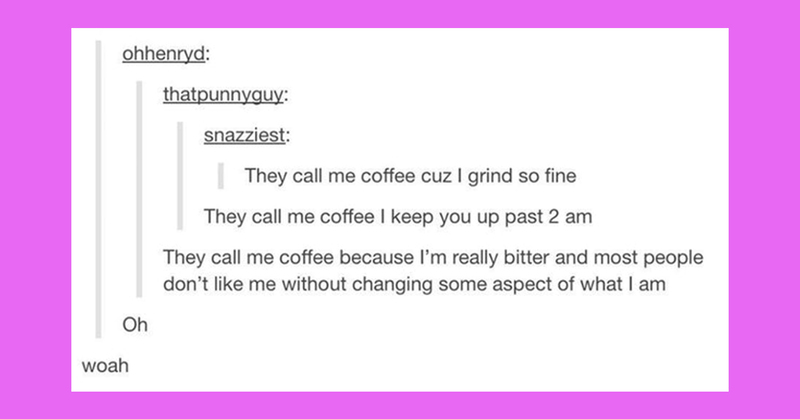 These Tumblr posts will have you saying “WTF did I just read?” over and over again, but in the most hilarious way. I feel like Tumblr doesn’t get enough love these days. Everyone is on Facebook, Twitter, and Instagram, but there truly are some real nuggets of gold out there that are getting overlooked. This is why I pour through Tumblr every week to find you the best thought-provoking posts. I hope you have as much fun reading this list as I did putting it together.